We are moving into the second week in June which means summer is flying by all ready. When I realized that it was already the second week of June I got a little bit depressed which is ridiculous because we have a solid 2+ months of summer left yet, but I know how fast it flies by. I feel like I blink my eyes and it’s over and gone with. We will be breaking out the sweatshirts and the leaves will be crisp under our feet before we know it. Wow. Who’s depressed other than me after that? What are you doing to enjoy your summer? We had a wonderful weekend at the lake again. Of course Saturday was a bit rainy and dreary and when we had to leave early for a birthday party on Sunday it was gorgeous out. Why does that always seem to happen? Miss K got a lot of fishing in off the dock. She was in her glory. There were tiny little fish biting her line all the time and it was perfect because she got tons of fish and she could care less how big they were. She just wanted to catch something. The jet ski was quite popular this weekend too. Every time they were close to it she was begging to go riding on it. At one point it was a bit windy and Dad drenched them on it. It’s not quite warm enough for this yet so she came in the house sopping wet and we had to strip her and get new clothes on. I was worried this was cure her of her love for riding it, but she was right back out there begging for another ride. I love sitting on the dock and watching them. I can hear her giggles and screams of delight across the lake. Don’t worry, I took it for a spin solo too! Summertime also means grilling for me. Since we live in Minnesota we only get a few good months of grilling and I try to take full advantage of it. I grew up with hamburgers and hot dogs on the grill but I’ve been trying to expand my horizons a bit. These kebabs definitely did that and wow oh wow were they delicious. My hubs kept looking at me and exclaiming how great they were. I can’t wait to make a batch at the cabin for my family to enjoy! In a medium sized mixing bowl combine all ingredients except shrimp. Whisk until combined. Place shrimp in bowl and stir to coat. Refrigerate at least 30 minutes and up to 2 hours. Remove shrimp from refrigerator. 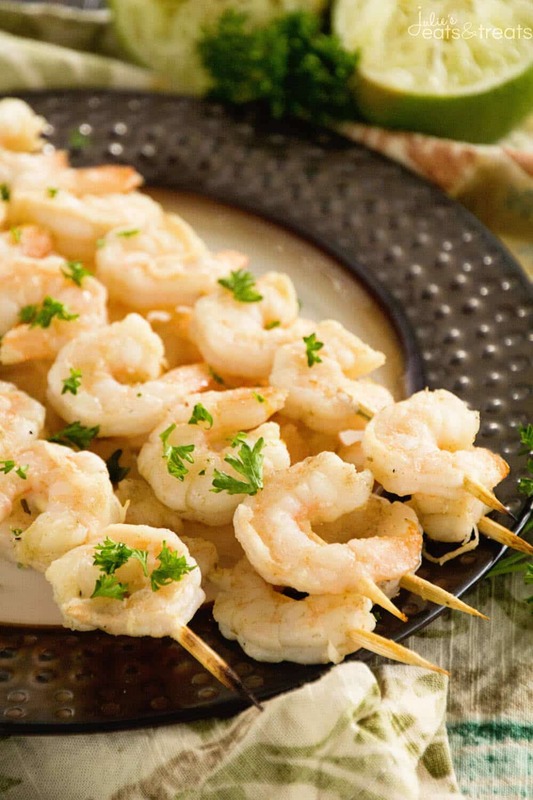 Thread shrimp on six skewers. Heat grill to medium heat. Grill kebabs on medium heat 3-5 minutes and then flip and grill 3-5 five minutes more or until shrimp are cooked through. If you are using wooden skewers make sure you soak them according to the directions on the package. 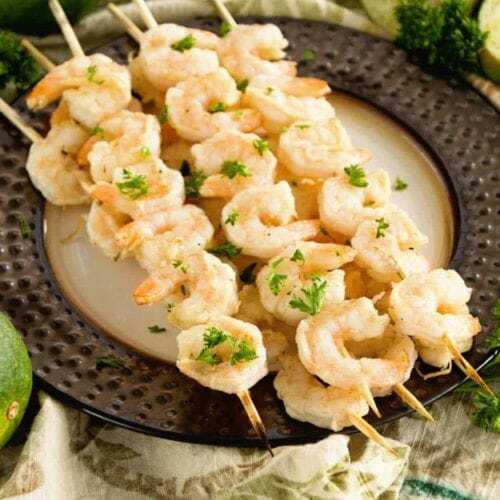 I bet the lime adds tremendous flavor to these shrimp kebabs! I totally wish I had some over rice right now. It is a little depressing to think that when summer officially begins in a couple of weeks, we will begin to lose a couple minutes of light each day. I love shrimp. 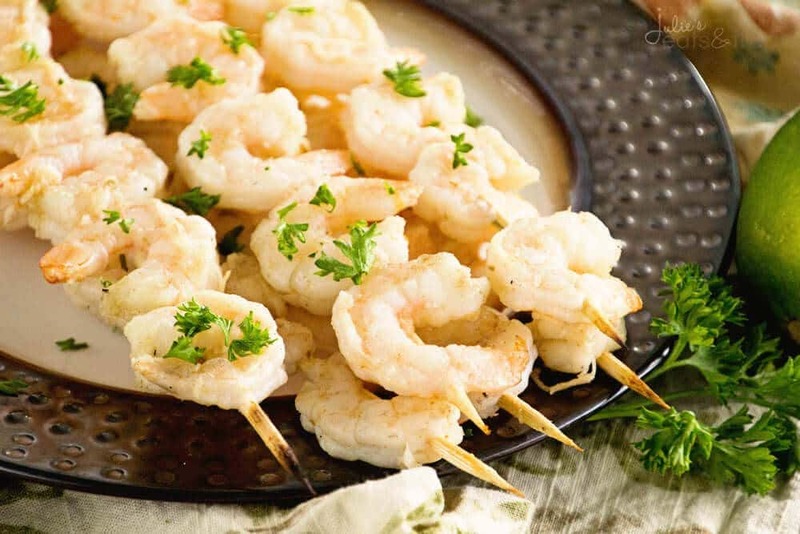 These grilled shrimp kebabs look delicious and are perfect for summer. Yum! This year is just flying by but thank goodness for summer grilling. 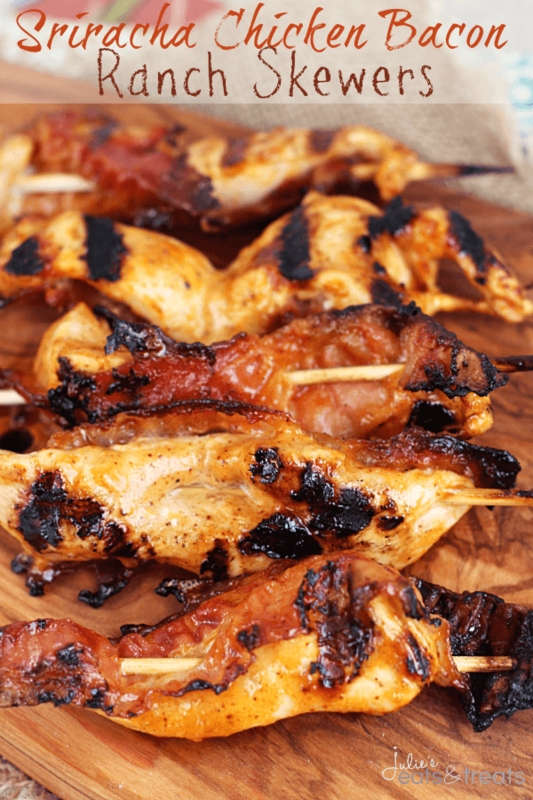 Love these yummy kebabs, they look so refreshing and full of flavor!